Farmers and live music — what could be better? 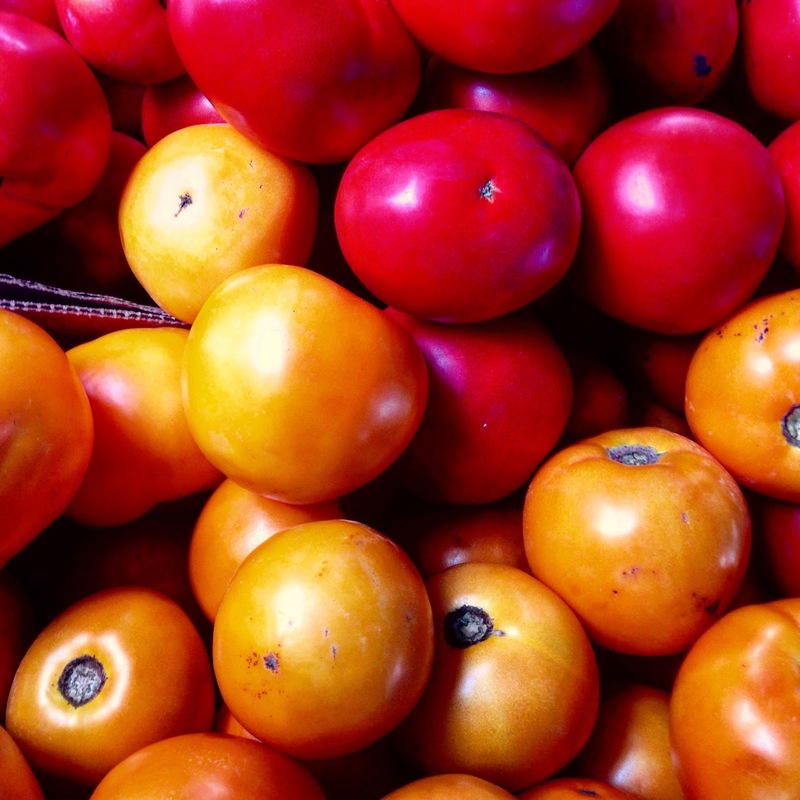 Fresh local food, salt-of-the-earth people, and an abundance of street and fine arts keep me living in New York City. A recent farmers market was serenaded by a young man, totally adorable, utterly appealing, pouring his heart into his music, his passion in evidence. But it didn’t make up for an off-key voice that lacked…a lot. You don’t actually need a fine voice to be an engaging performer. But you have to have something. In spite of his passion and personal appeal, this young man had yet to find his formula for success. Don’t get me wrong. I think musicians — and all performers — deserve applause just for stepping up. I was rooting for him, but while I love to support those who bring music to my day, I didn’t add his cd to my modest patron-of-street-musicians collection. I walked away from the performance thinking of a dilemma many Reiki practitioners want help with. Perhaps you’ve been there. You open your heart and your mouth wanting to share your Reiki hands, but it doesn’t unfold as you envisioned. The encounter ends with you feeling hurt and disregarded. Again. As Reiki practitioners, we are brimming with passion for our practice. We know its value. We’ve seen the results on ourselves and others. We know our practice performs. Please consider this. Every successful performer has a warm up act. That’s who we are, the Reiki warm-up (often literally), the ones whose job it is to engage people, and move them gently toward wanting to experience what our Reiki practice offers. If the “or not” is where you usually find yourself, please keep reading. You could change that. And it’s not hard. Maybe no one has given you that dismissive sound known as blowing a raspberry, so cute when done by babies, but not cute from adults. New Yorkers refer to it as a Bronx cheer, the cheer that is actually a jeer. Raspberries or not, you know derision when you see it, and if you are like the Reiki practitioners from around the world who ask for my help, you see derision much too often when talking about Reiki. Some practitioners feel so hurt by the rejection that they jump to the conclusion people aren’t interested in Reiki practice. That’s not accurate. I know that’s a wrong conclusion because for twenty years, I have been speaking about Reiki to people who thought they weren’t interested, doctors who wanted to help their patients, but who, as critical thinkers, have ill-concealed disdain for anything woo, New Age, or otherwise speculative. Listening to my Reiki presentation, those doctors found nothing to deride, and much of interest. In fact, those talks have supported the practice of Reiki in hospitals, hospice, and patients’ home care, and led many doctors and nurses to learn to practice Reiki for themselves! I knew once I placed hands, the Reiki “performance” would be applauded, but I couldn’t count on getting that far. I needed to create a bridge to a hands-on experience for people to whom hands-on practice was, shall we say, unusual. Not their norm. 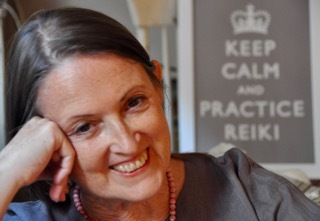 If your Reiki conversations are not ending well, you might not be doing anything wrong. You’re likely just missing a few steps. You can easily to learn to offer people a hand they want to grab, instead of one they push away. Here’s how to start. Musicians and other performers need talent, but Reiki practitioners don’t. We have an amazing practice that more than makes up for our own lack of talent. If we have some basic communication skills. Fortunately, that’s a problem that is easy to solve. Communication involves very learnable steps, which your Reiki self practice actually helps you learn, by settling your mind and opening your desire to serve. Communication starts with finding your own words. That’s not the only step needed, but it’s the necessary foundation most Reiki practitioners miss. Maybe you think your own words aren’t good enough, that you need to use someone else’s authority. Not true. People are moved by personal authority, your experience shared in your words. It does take a little time, but you needn’t go far to discover your authority; it’s conveniently located within your own being. Take the time to practice self Reiki every day. For at least some of your practice time, bring your awareness to your practice, both to any sensations you notice — or don’t notice — during practice, and especially to how you feel afterwards. Write for a few minutes after your practice. 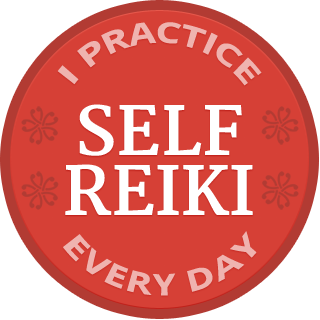 Begin with “My Reiki practice,” and see where it takes you. Don’t think, just write, discovering your words as they tumble onto the page or screen, and keep writing until you run out. Want a recording with more instructions and support? It’s yours for free. Sign up here and watch your inbox, as the link is on the way! The important thing when sharing our personal experience is simply to share the story, and not make claims. Trust the audience to put it together. They will identify with you and figure it out themselves, and then be more interested because it wasn’t foisted on them.